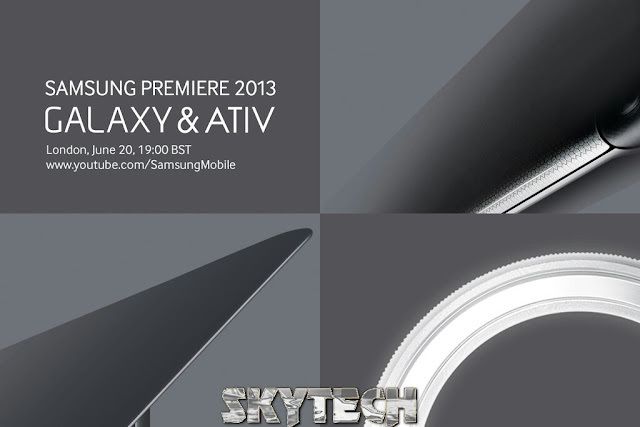 Samsung Mobiles teases about a new Galaxy and new Ativ device in SAMSUNG PREMIERE 2013 on June 20 London. Samsung may launch their so hyped and rumored GALAXY NOTE 3 or the earlier leaked GALAXY S4 MINI. There is also a ATIV device coming in the line up we can say that it will run on Windows 8 if its a phone or Windows 8 or RT if its a tablet. And if its gonna be a tablet then it might be a answer to Apple’s latest iPad. If you take a closer look at the top right corner of true image you may feel that the structure is a Stylus or the Side (bezel) of the device. Ands in the bottom left it looks like a Tablet. Samsung has confirmed the PREMIERE on their official Facebook page. Let’s see what comes out in the event.!! Mark your calendars..! !